Are you looking for the perfect gift for that hard to shop for person in your life? 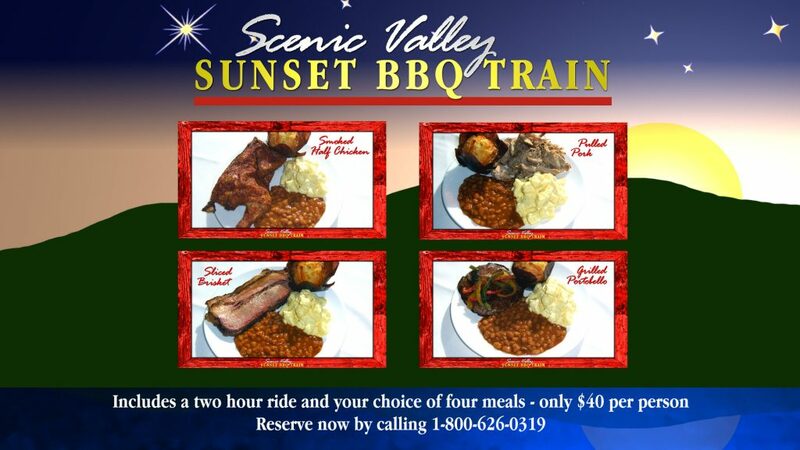 Why not give them the gift of a train ride? 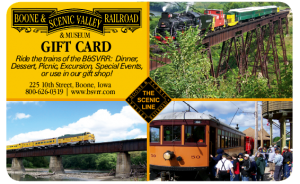 Boone & Scenic Valley Railroad gift cards are available in a variety of amounts, and may be used to purchase tickets for any of our trains, in our gift shop, or in our museum. There’s a blizzard so fierce that reindeer can’t fly in it. How will Santa deliver gifts to children on the Iowa frontier? Santa’s Scenic Valley Ride takes little ones on a winter adventure with Santa on his first-ever train ride to old-time Iowa. The book was written and illustrated by Misty McNally, whose mother was born in Boone and whose grandparents once owned the historic Lincoln Restaurant on the old Lincoln Highway. 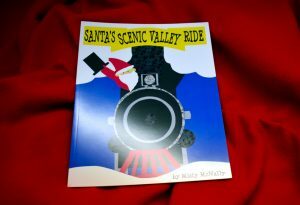 Get the book and follow along during your journey aboard the Santa Express train ride!